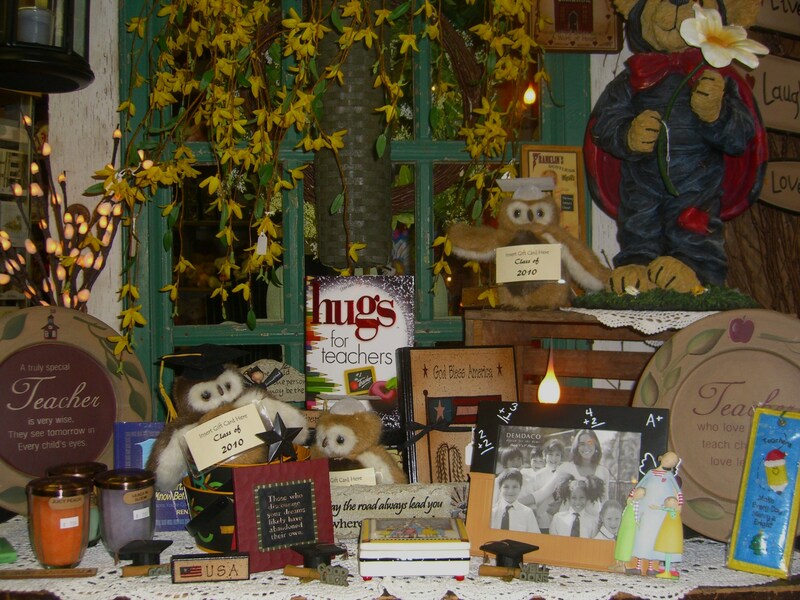 Many folks think we are a gift shop that women like to come to, spend time looking around and buy candles, cute stuff and all of that. But really, we are a whole lot more! While we don’t have everything, we sure do have alot for many different occasions! Do you need something special for a graduate . 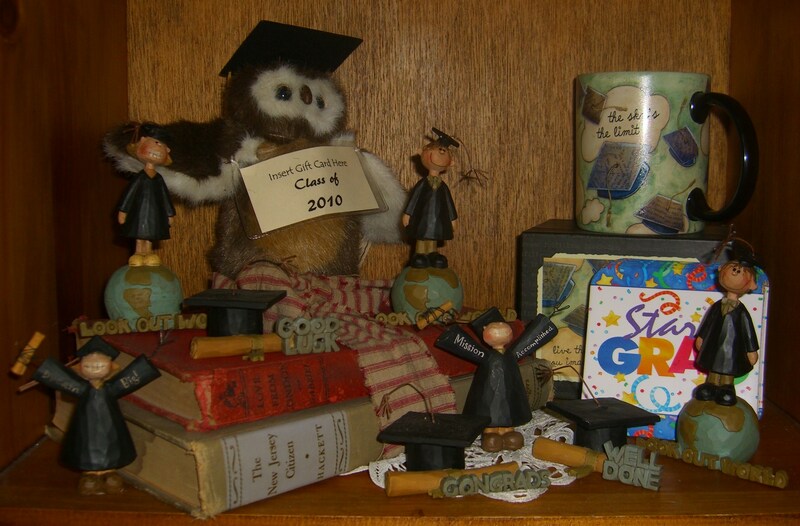 . . check out the cute Boyds® graduate owl gift card holders, or Blossom Bucket’s mini-grads –‘watch out world, here I come’. 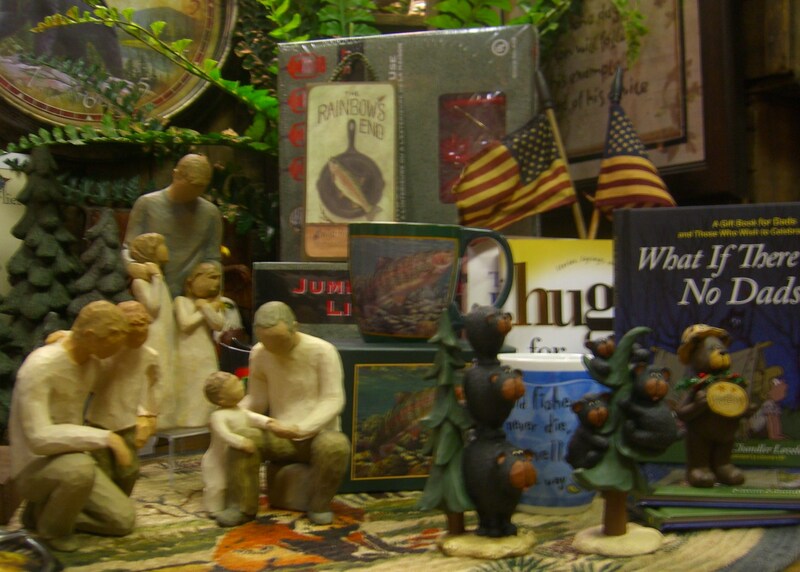 Specialty books like HUGS® are popular for gift giving — for grads and dads. One of our favorites is The Miracle in a Daddy’s Hug. It is so sweet, and will bring tears to your eyes when you read it. And to go with it — a brand new Willow Tree® piece, My Girls — Look for it in the photo! 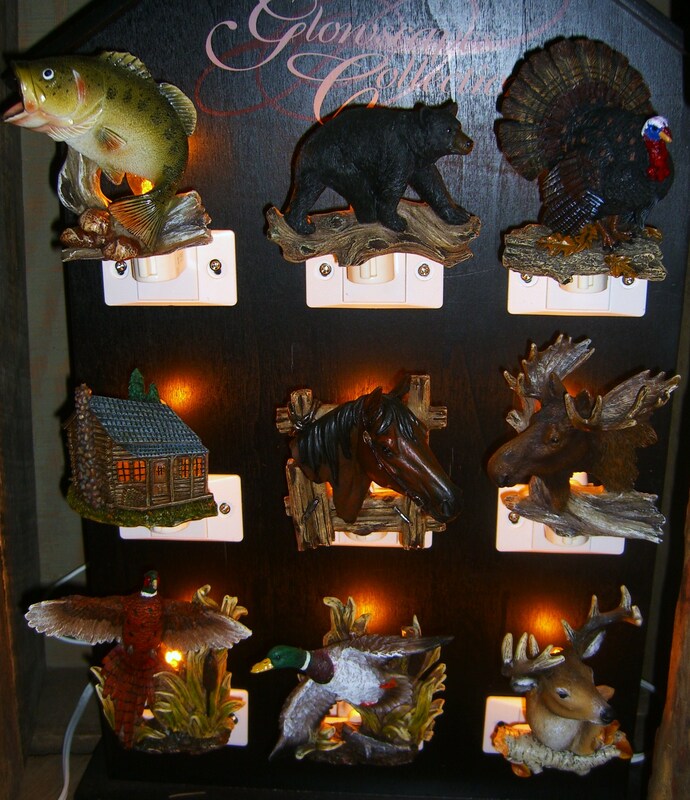 We even have some gifts especially for the outdoors man; nightlights, thermometers, mugs and more. 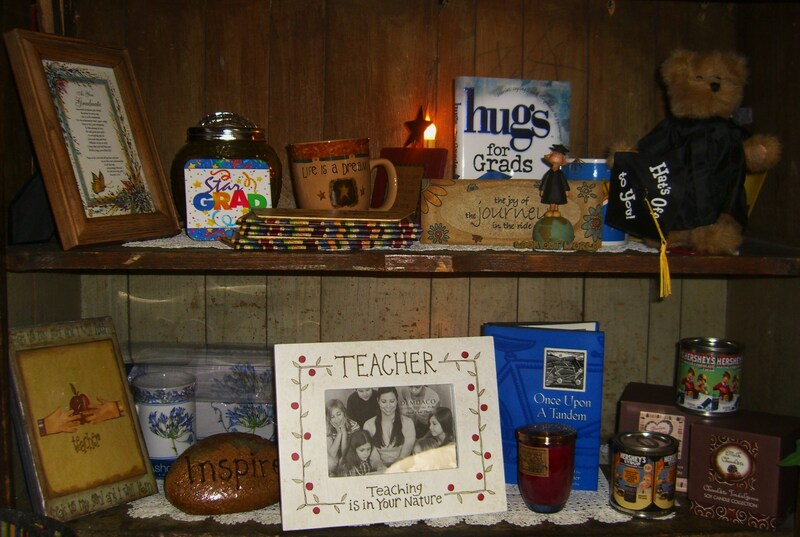 And, we have a great selection of cards for graduates, fathers, and thank you teacher cards. Even though teachers’ favorite gifts are usually notes of appreciation from students and parents, we do have gifts that can be added along with your note or card. Here is a great, simple gift — easily put together and very practical: Take a cute tea towel and dishcloth and roll them together. Add a cookie cutter (yes we have those, too) with a piece of rafia or ribbon and add a piece of floral or berry stem. 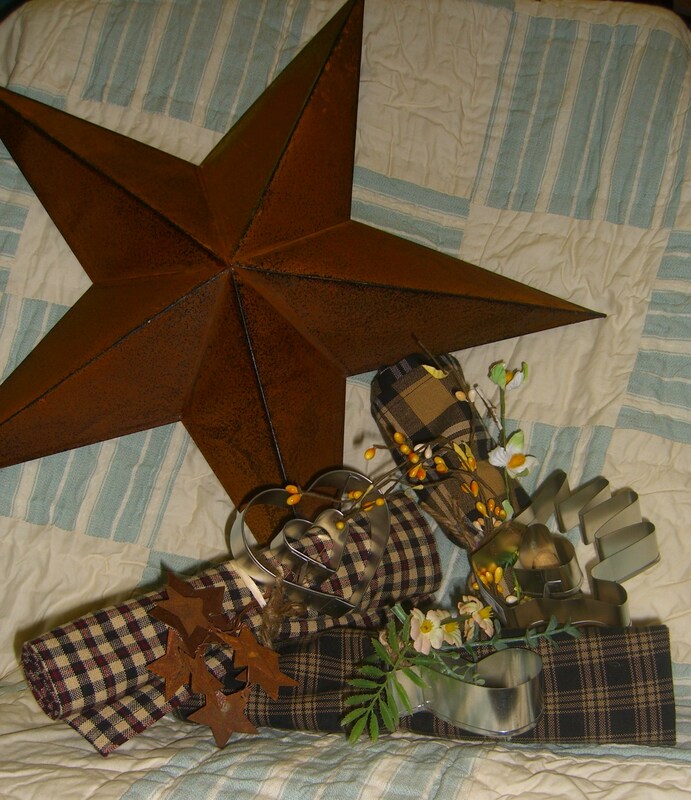 When you do stop by, feel free to ask about other ideas for any kind of gift giving. And if we don’t have it — can’t get it, we may know where you can look for it. To the world you may be one person — but to one person you may be the world.